The first person I ever saw using this was Thomas Bjorn. The story goes that Thomas was watching golf on TV when Tom Kite won an event, and he thought that's how you should hold a putter! Essentially this grip is the reverse of the traditional putting grip. This grip suggests placing your left hand (for right-handers) below the right hand. Both hands are linked by wrapping the index finger of the right hand across the fingers of the left hand. 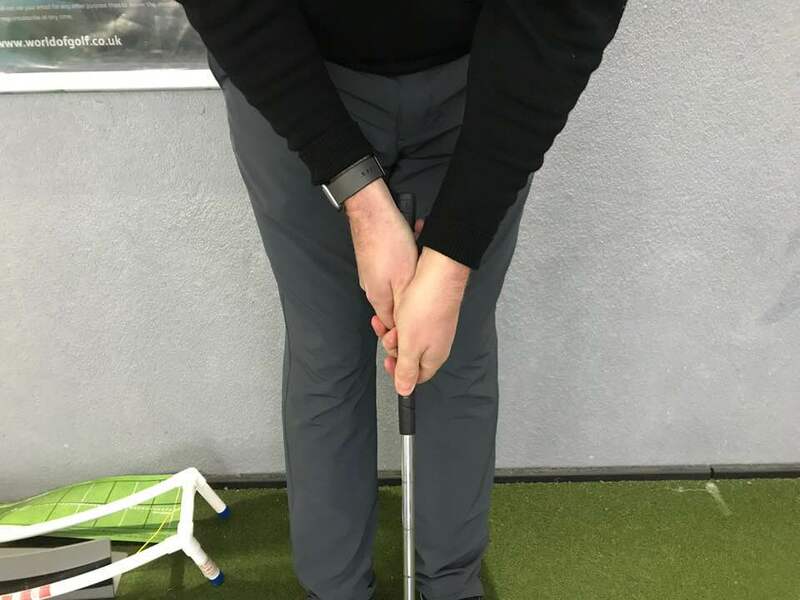 The left below right grip is a good option since lining up and keeping the face square is easier because the left hand is closer to the head of the putter. With little practice using this stroke, however, the golfer will likely first experience problems feeling the pace. This is due to the fact that the dominant hand is further away from the putter head.